Well, it’s been an eventful 72 hours and the #WoolseyFire is still burning. First, I want to acknowledge we are extremely fortunate. My family has suffered no injuries or property damage to date. Our experience with the fires has been more of an adventure, while I have seen friends, associates and strangers suffer greatly. 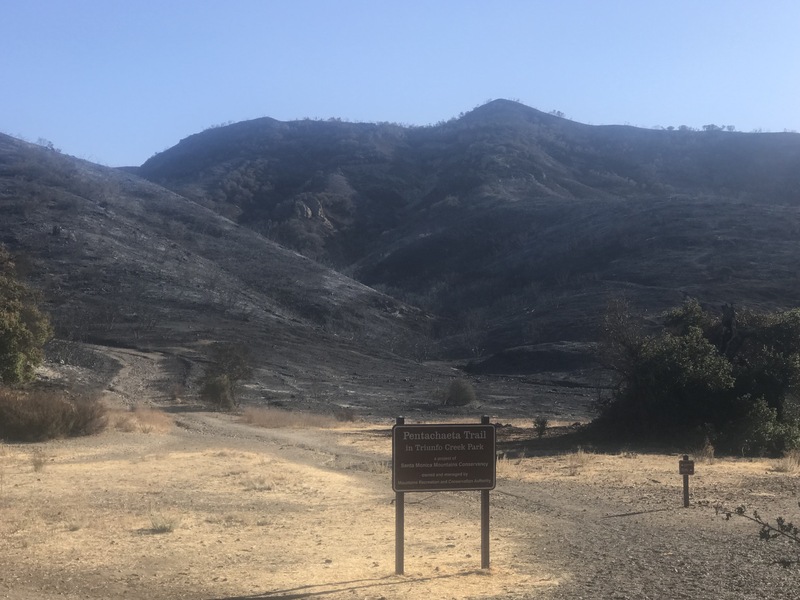 We’ve had a ton of people checking in on us so I thought I’d give a quick recap of my first California fire experience since moving to Los Angeles from Indianapolis earlier this year. For the record, we have tornados and really crazy thunderstorms in Indy, but nothing like this fire. 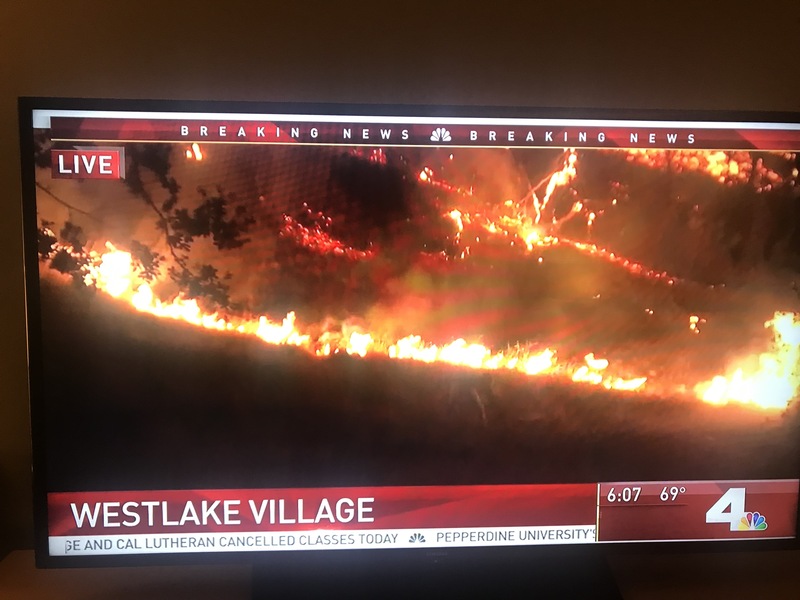 It’s 7:48pm PT, I’m sitting here at home in Westlake Village under mandatory evacuation and prepared to leave again at a moments notice. 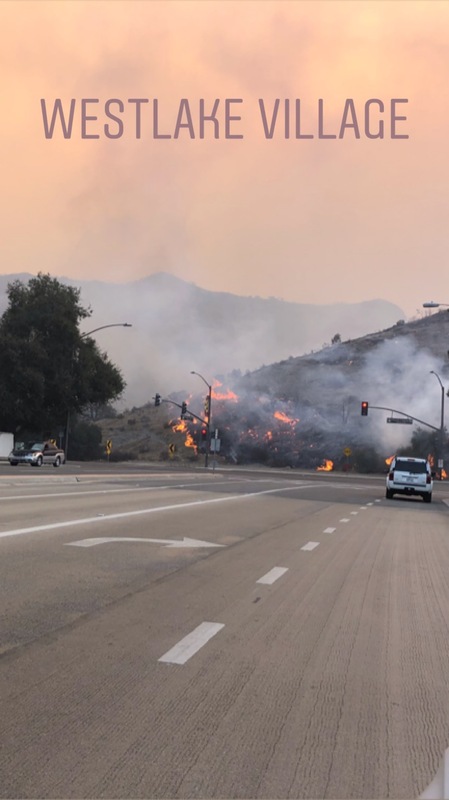 We are monitoring the Ventura County Fire alerts & radio chatter, Twitter has been our best source of information, albeit requiring tremendous filtering of nonsense posts. The TV news has been recycling video for days in creative yet misleading ways, making it hard to tell new events from prior ones. We are surrounded by fire zones. 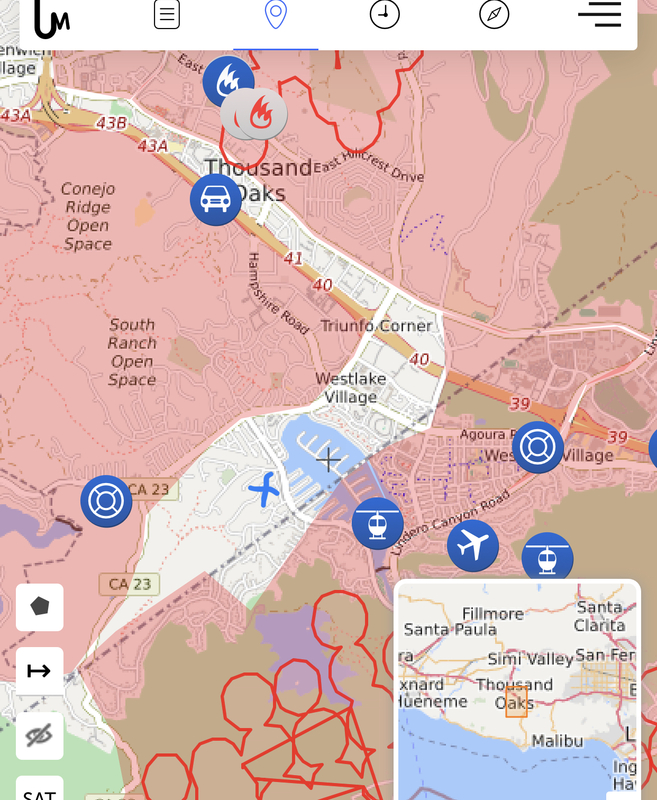 #WoolseyFire – Blue Dot is our house in Westlake Village. 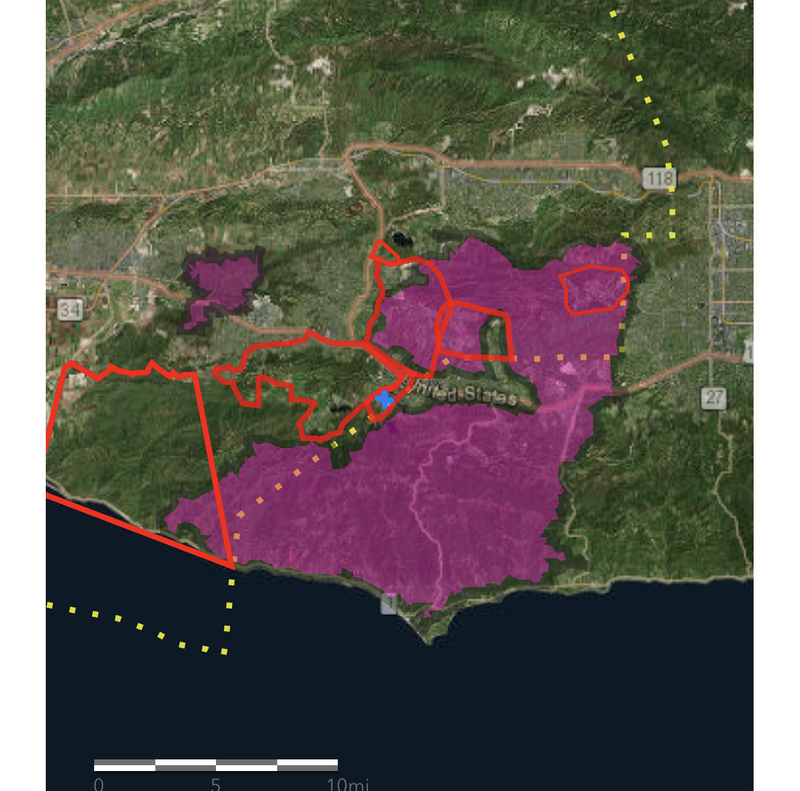 Red lines are mandatory evacuation areas. 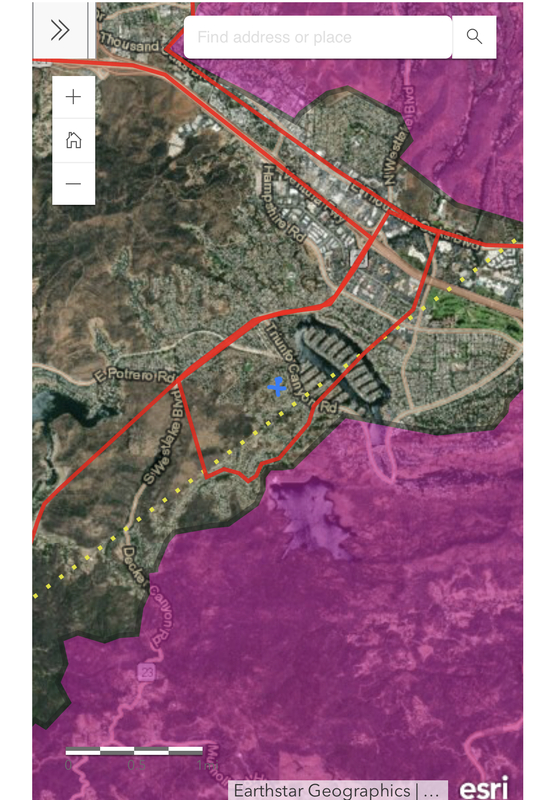 Purple is fire areas. The losses to the Southern California community are staggering, yet amazingly thus far mostly relegated to property and hardship. 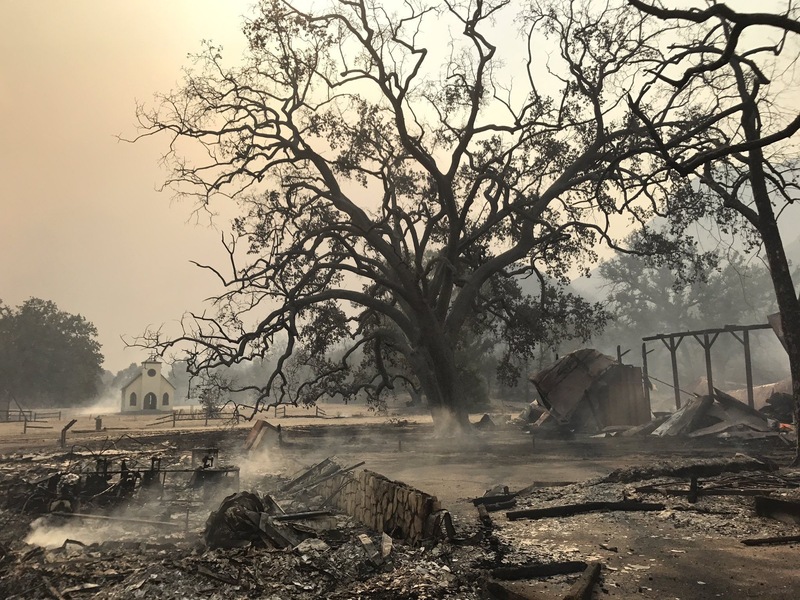 For the scale of this disaster, the limited loss of life has been a blessing and a testament to the Fire and Safety professionals getting ahead of it. That said, this does not diminish the emotional hardship I’m seeing everywhere for personal losses. We began this journey Thursday when upon returning from meetings in downtown L.A., we encountered highway closures just beyond our exit and the resulting logjam of everyone trying to get off at our exit, Westlake Boulevard. Joining friends at Tuscany Restaurant, we enjoyed discussion with fellow patrons, but it increasingly turned to what people were hearing re the fires to the East of us. We offered our home to colleagues who were being evacuated. I discussed exits plans that evening with Anitra and we agreed to leave if mandated. After a couple of hours of sleep, I awoke with a start at 2:30am and decided to turn on the news. 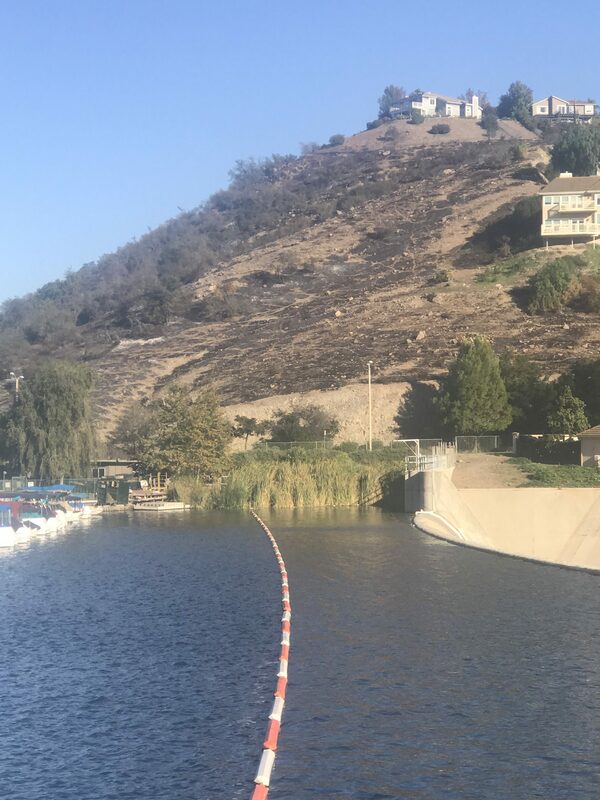 By 3am, mandatory evacuation orders were issued for our Westlake Village. Go Time! On the other items front, we didn’t do quite as well. E.g.,we later discovered that I had 9 pairs of underwear and one shirt (the one I was wearing), while Anitra had 14 shirts and one pair of pants (the ones she was wearing). LOL Funny moment. At 3:30am on Friday morning, we evacuated. At that time there were fires to the East, North and West. 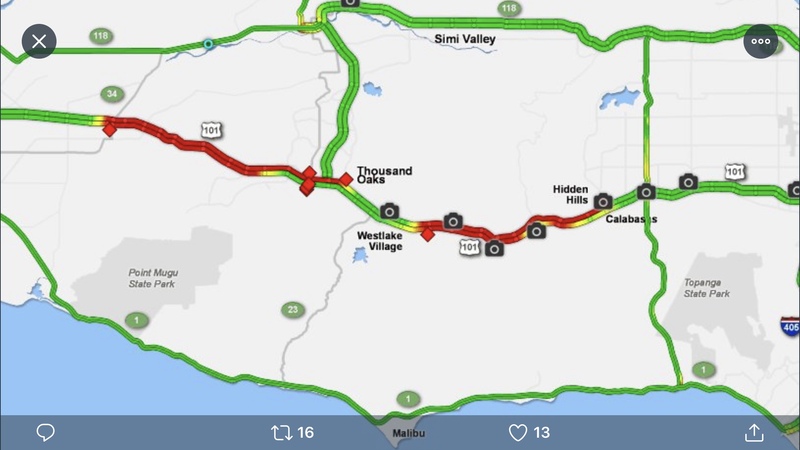 I expected the 101 to be jammed up and fires were threatening to jump it by then. Thus, I chose to head out via Westlake Blvd over the curving roads to Malibu and then down to Santa Monica. I figured this would be the least traveled most accessible escape route. It turned out to be true and we made it to the Santa Monica JW Marriott by 4:45am. 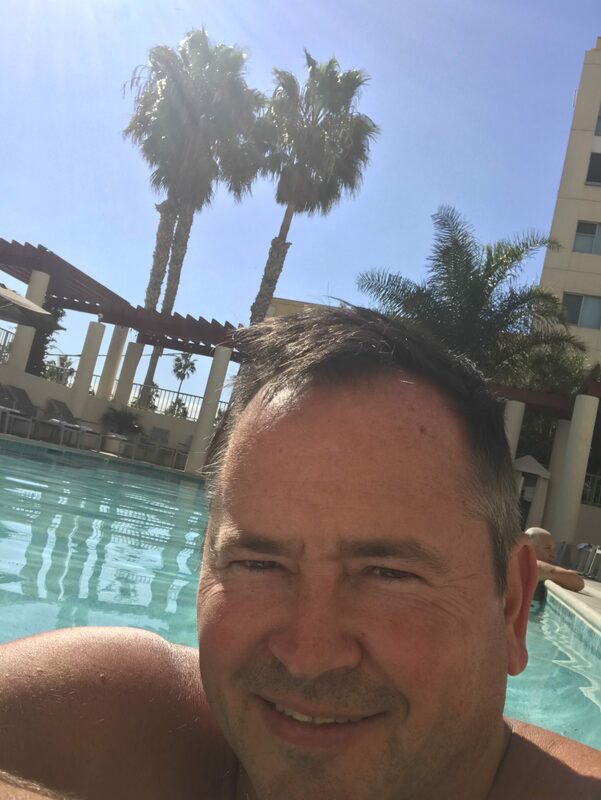 The hotel was sold out that night but I was fortunate to book a room for Friday night and after huddling around the fire pit for a few hours, we were checked in by 10am Friday morning. 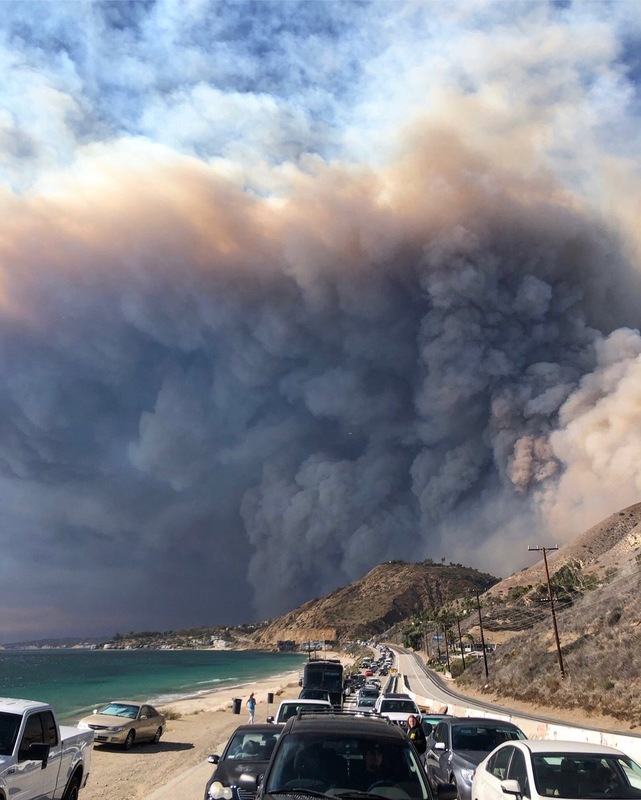 Photo of masses of people evacuating Malibu later on Friday after we had made the trek. Photo credit unknown. This became our home for the next 36 hours. It was eerily perfect, sunny, warm and no sign of the massive disruption happening nearby other than our fellow fire refugees we met. On Saturday, the winds shifted and Santa Monica became smoky and unpleasant. Anitra’s history of asthma was on our mind as we exited and headed toward Sherman Oaks where friends offered their home. On that front, we had nearly a dozen offers of places to stay with our wonderful community of friends and family. It was amazing and heartfelt from many friends giving us another reason to give thanks. As we came over the hill towards the Valley, it became clear that the air was anything but clear. The shifting winds had brought heavy smoke. 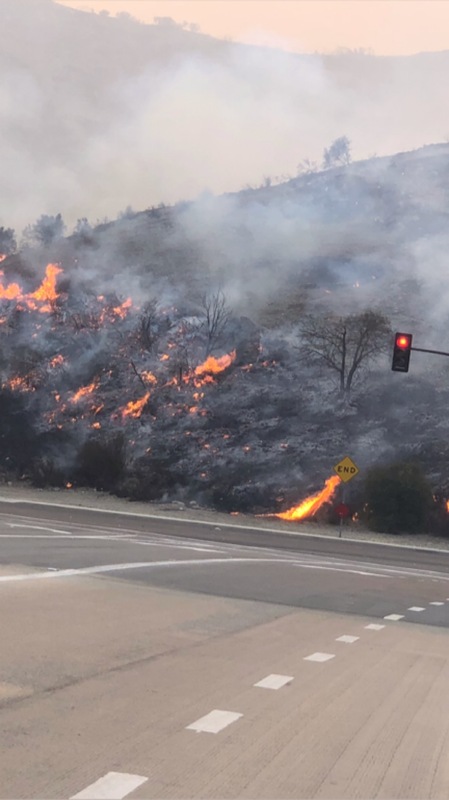 At this point, we had heard from several friends who had remained in Thousand Oaks & Westlake Village who told us the area was clear, even though the evacuation order was (and is) still in effect. We decided to go home to at least grab other supplies (clothing) and at best stay put (we did). Today we rode bikes to survey some of the damage and view the situation live. 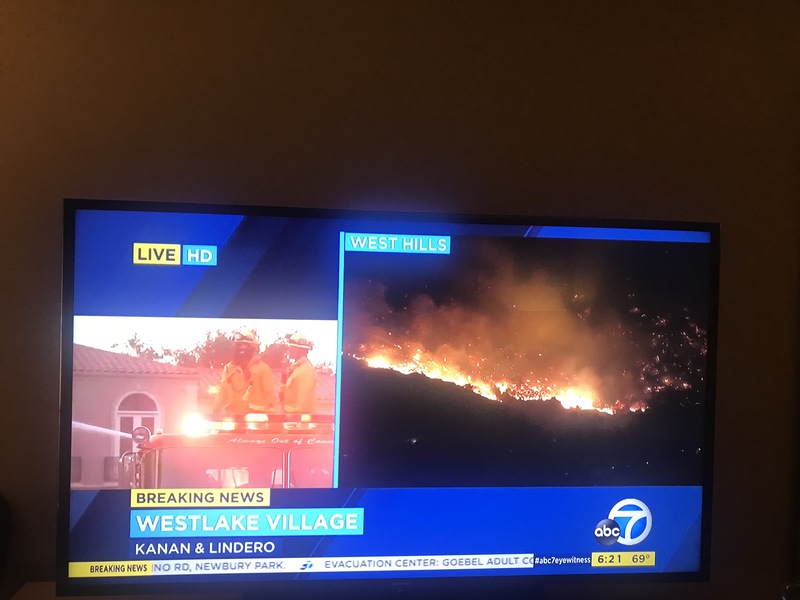 Smoke reporting from Westlake Village during the #WoolseyFire from J. Smoke Wallin on Vimeo. 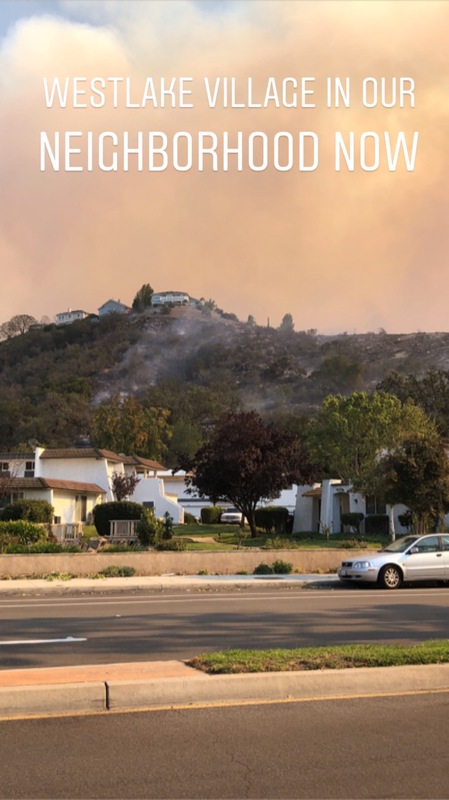 I learned from my neighbor, a veteran of the 101st Airborne (thanked him) who has lived here since 1985, that where we are in Westlake Village is uniquely sheltered and the fires historically have gone around us. The winds also made the air here much clearer than I expected. We had a blue sky sunny CA day today. We remain vigilant and ready to leave at a moment’s notice. I have great respect for the heroes of this tragedy. The fire and rescue and police have done a remarkable job of fighting an unstoppable force of nature. 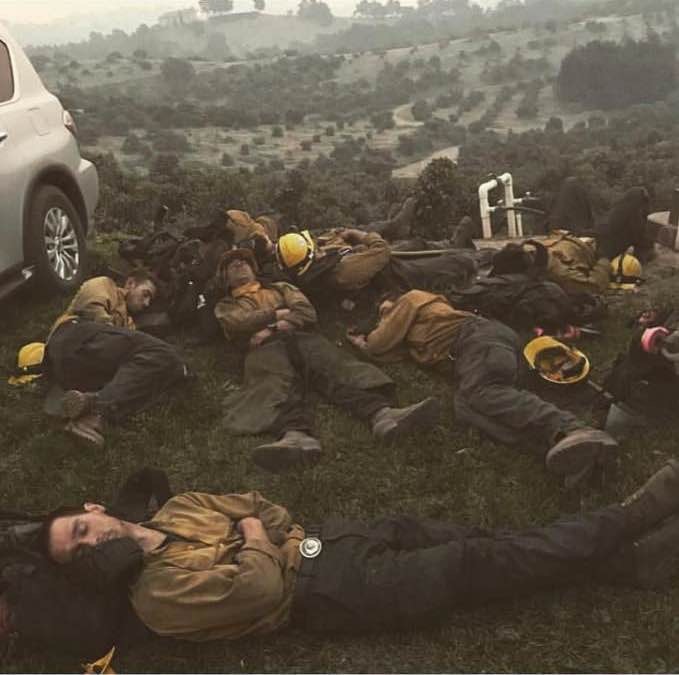 I grabbed this shot from a twitter post (source unknown) of some of these guys taking a rest after 48 hours of constant fire fighting. Amazing dedication and perseverance. We plan to find ways to support them in significant ways going forward. From KTLA – photo of firefighters sleeping in place after 48 hours of nonstop firefighting. Heroes, every one of them. I will update this with the next chapter when it unfolds, but wanted to share in the moment while its fresh. 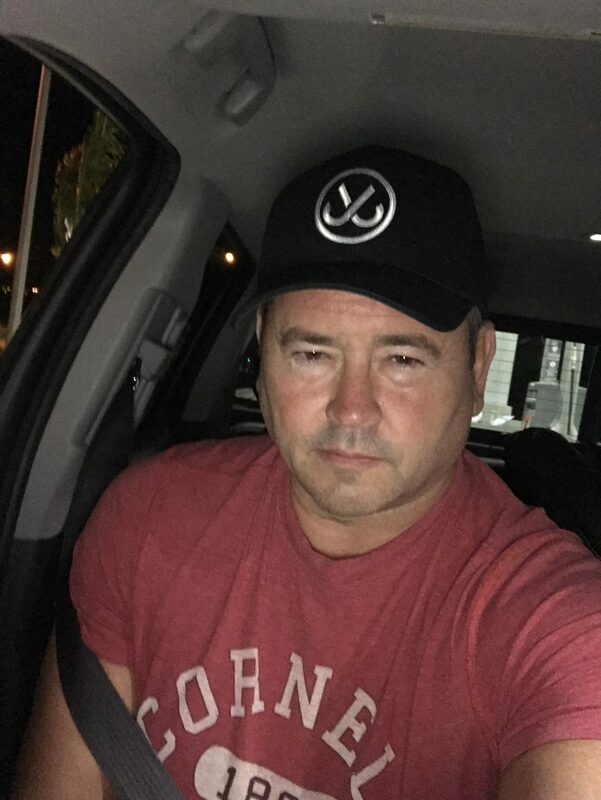 Thanks for sharing with me, your stories, as well. As Anitra would say, we are blessed and lucky.